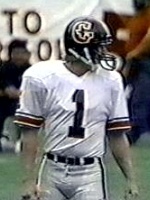 Scott Boucher's "With the Power"
Named the 1984 USFL Rookie of the Year, League MVP, and member of the All-League Team, tossing 370 completions for 5,219 yards and 44 touchdowns that season. 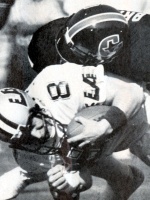 Missed the final four games of the 1985 season due to injury, but completed 360 passes for 4,623 yards and 39 touchdowns, and was once again named to the All-League Team. 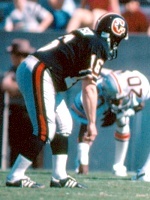 Quarterbacked the Buffalo Bills to four consecutive Super Bowls. 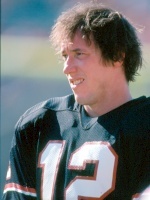 Kelly was elected to the Pro Football Hall of Fame in 2002, his first year of eligibility. 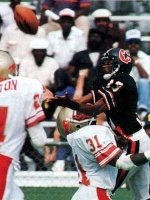 Grabbed 16 passes for 315 yards, three touchdowns and an impressive 19.7 yards per catch average in 1984. 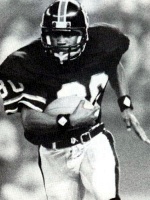 Assumed a larger receiving role in 1985, catching 84 passes for 1,007 yards and nine touchdowns (third in the conference behind teammate Richard Johnson and Leonard Harris of the Denver Gold). Though used primarily as a kick and punt returner in the NFL with the Redskins, Colts and Falcons for six seasons, Verdin did have 82 receptions for 1,329 yards and seven touchdowns. Verdin is the only player to be named to the Gamblers All-Time Team twice. 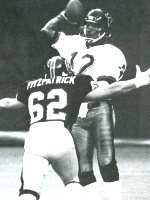 Was the third-leading receiver for the Gamblers in 1984, catching 40 passes for 637 yards and five touchdowns. 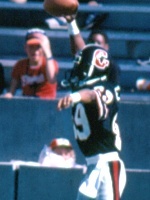 Started 17 of 18 regular season games in 1985, snagging 47 catches for 671 yards and three touchdowns. A dependable kick returner when called upon, McGhee fielded seven returns for 142 yards with the Gamblers. 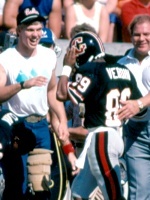 Was the receiving star in the 1984 playoff game versus Arizona, with seven receptions for 112 yards. 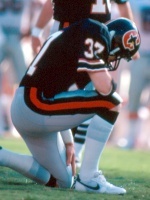 The most legendary of all Gamblers "Mouseketeers", Richard Johnson was the USFL's leading receiver both years with Houston. He caught 115 balls for 1,455 yards and 15 touchdowns in 1984, then followed up with 103 receptions for 1,384 yards and 14 touchdowns in 1985. 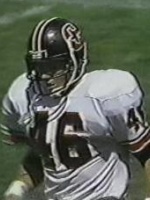 Was named to the USFL's All-League Team in 1984 and 1985. 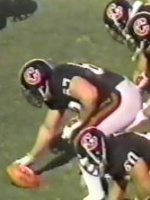 Was an occasional kick returner for the Gamblers in 1984, fielding five kicks for 109 yards. 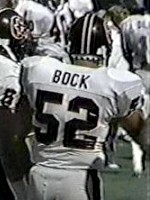 Played one game for the Redskins in 1987, then was a member of the Detroit Lions Run and Shoot offense in 1989 and 1990, catching 134 passes for 1,818 yards and 14 touchdowns. Named to the 1984 USFL All-Rookie Team and All-League Second Team after his 101 reception, 1,378 yard and 11 touchdown performance. 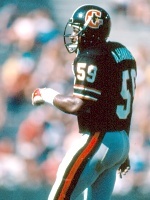 Despite missing half of the 1985 season with a knee injury, Sanders posted a respectable 48 receptions for 538 yards and seven touchdowns. Grabbed nine tosses for 108 yards and three touchdowns during the Jim Kelly versus Steve Young shootout on Feb. 24, 1985 in Los Angeles. 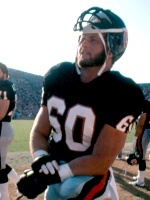 Enjoyed a successful career in the NFL with the Redskins and Falcons from 1986 through 1995, and was named one of "The 70 Greatest Redskins". Had one of the greatest Super Bowl performances of all time on Jan. 31, 1988, catching nine passes for 193 yards and two touchdowns. 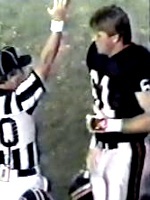 Though he missed seven games in 1984 due to a broken leg, Sam Harrell still managed to rush 120 times for 697 yards, 14 touchdowns and an amazing 5.8 yards-per-rush average. 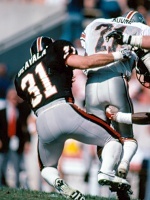 The 1985 season would also prove to be injury-laden, but he still rushed 69 times for 326 yards and seven touchdowns. 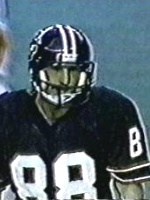 Over his two seasons with the Gamblers, Sam added 76 receptions for 795 yards and four touchdowns. 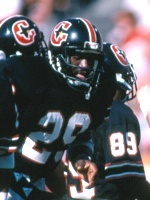 On March 11, 1984 in Chicago, Harrell set a USFL single-game record by rushing for 200 yards (on 20 carries). 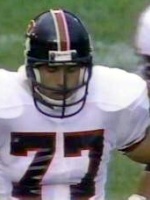 Drafted by the Minnesota Vikings in 1980, he saw limited playing time with the club during the 1981, 1982 and 1987 seasons. 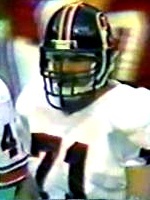 A tight end in college, Fowler was converted to a running back for the Gamblers Run and Shoot offense. 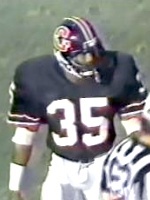 He spent the first half of the 1984 season as a reserve behind Sam Harrell, then went on to lead the team with 1,008 yards rushing during the inaugural campaign (with an impressive 5.9 yards-per-carry average). 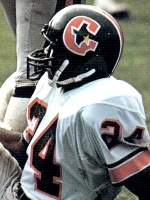 He broke Harrell's USFL single-game rushing record on June 3, 1984 against the Dever Gold, rushing for 208 yards on just 21 carries. 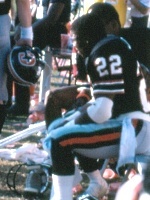 Fowler midded the first five games of the 1985 season due to injury, but still managed to lead the club with 402 rushing yards. Coach Tom Landry himself helped facilitate Fowler's move from the Gamblers to the NFL's Dallas Cowboys after the 1985 USFL season. Todd spent the next four seasons with the Cowboys as a fullback, tight end and special teams player. 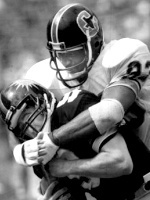 A college standout at Northwestern, tackle Rob Taylor provided stability to the Gamblers' ofensive line, starting the last twelve games of the 1985 campaign. 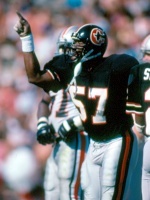 Standing 6' 6" tall and over 290 pounds, the powerful Taylor went on the play eight seasons and a total of 110 games with the NFL's Tampa Bay Buccaneers. 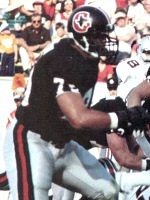 Spending more time on offense than any other Gamblers lineman (and possibly any other offensive player), Scott Boucher was instrumental in protecting quarterback Jim Kelly's blind side during both the 1984 and 1985 campaigns. Officially starting 17 games in 1984, as well as 14 games the following year, he saw action in every contest played by the Gamblers. 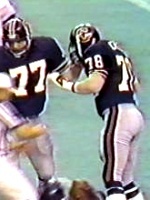 Scott played for the hometown Houston Oilers in 1987.